Black schooling, during the period of Reconstruction, occurred in various locations of the rural south: churches, homes, work-locations, etc. School buildings were constructed from limited resources through collaborations with parents, missionary associations, and civic and church leadership. 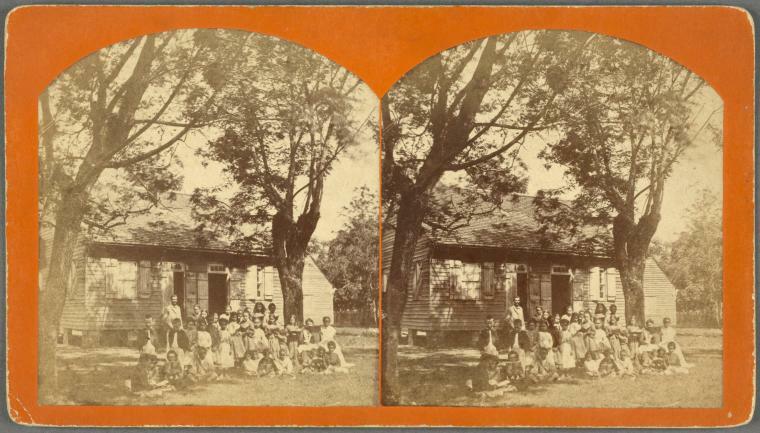 This image is of a colored school in rural Louisiana (no date). 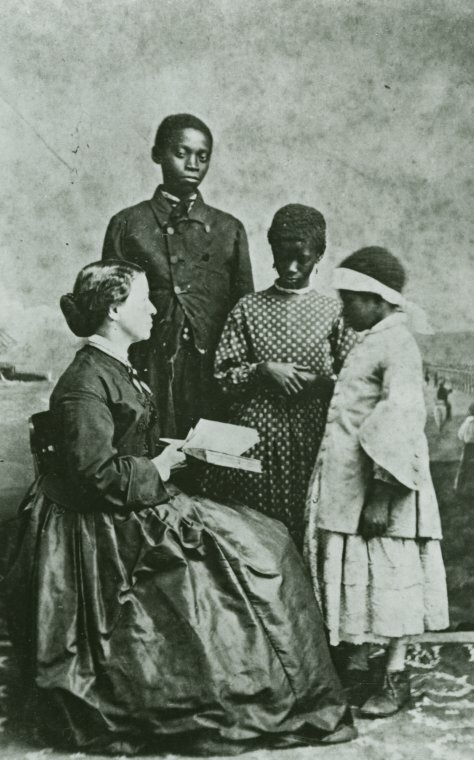 Although this image may appear to capture an integrated school (not uncommon but fewer in number than all-black schools) some of the students maybe mixed-race, or descendent of mixed race parents. 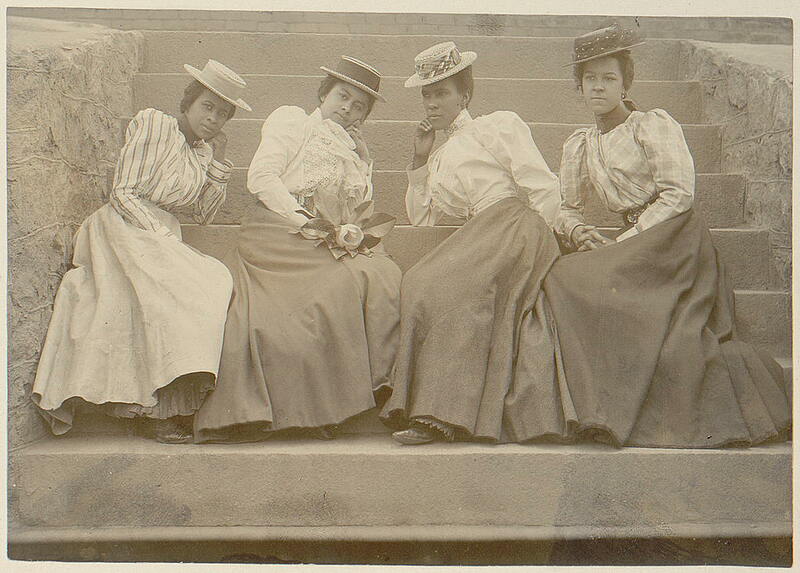 Schomburg Center for Research in Black Culture, Photographs and Prints Division, The New York Public Library. “Colord School” New York Public Library Digital Collections. Accessed May 8, 2018. Schomburg Center for Research in Black Culture, Photographs and Prints Division, The New York Public Library. "Lottie Grimke" New York Public Library Digital Collections. Accessed May 1, 2018. Men and women students of Hampton Institute in a laboratory class on milk. 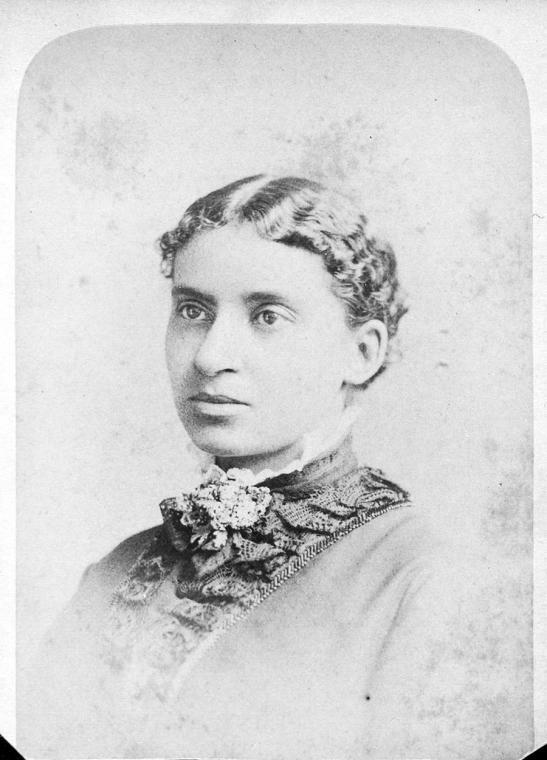 Schomburg Center for Research in Black Culture, Photographs and Prints Division.